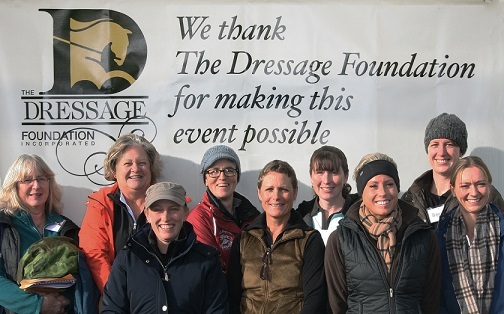 Image Caption: Oregon Dressage Society Clinic Participant shared, "This Instructor Program was reassuring to the amateur that there is a distinct and definable path to each goal. I learned much more than anticipated. This is an ideal way to "weld concepts to actions" for the adult amateur dressage rider." In the first quarter of 2016, TDF awarded $26,250 to seventeen different groups. An estimated 250+ riders and 300+ auditors took part in these TDF-supported educational events. The symposia, camps and clinics reached hundreds of riders of different levels and ages in areas throughout the country.